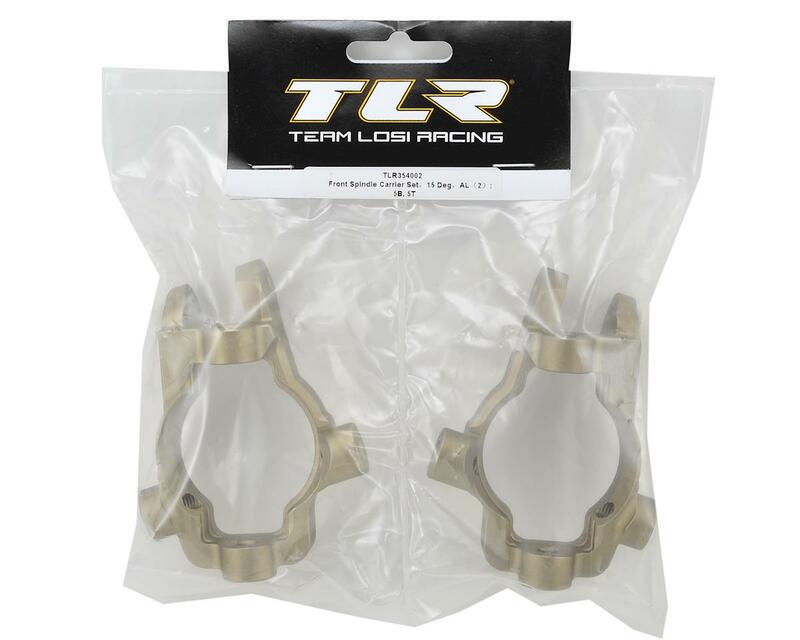 This is an optional Team Losi Racing 15° Aluminum Front Spindle Carrier Set. 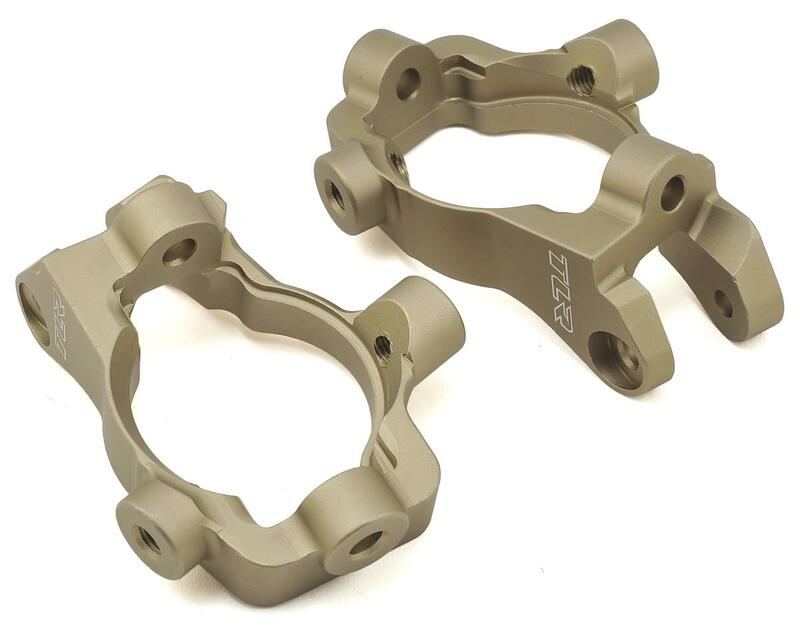 These spindle carriers are made from aluminum alloy material and are compatible with the 5IVE-B and 5IVE-T 1/5 scale vehicles. Terrible !! the amount of slop in the king pin hole is unacceptable, I expected better from Losi. I ended up buying an aftermarket pair.